The holiday season at Universal Orlando has been slowly ramping up to become a must-see favorite of mine. Not only can you catch floats from Macy’s Holiday Parade, but you get to end your night with a performance by Mannheim Steamroller. What could be more Christmas-y than that? This Saturday, Dec. 1 is the kick-off for this year’s Holiday Celebration at Universal Orlando Resort and both parks get into the yuletide spirit. At Universal’s Islands of Adventure guests will be filled with holiday cheer as Grinchmas comes to life throughout Seuss Landing. They can watch the heartwarming live show, “Grinchmas Wholiday Spectacular,” featuring The Grinch and the Whos from Who-ville, accompanied by an original musical score by Mannheim Steamroller. And Christmas music sensation, Mannheim Steamroller, will return this year with more performances than ever before. The acclaimed musical group will perform their memorable holiday hits on the Music Plaza stage in Universal Studios eight nights this year – December 1, 2, 8, 9, 15, 16, 22 and 23. The best part is this special holiday entertainment – including the Mannheim Steamroller concerts – is included as part of two-park or multi-day admission to Universal Studios and Islands of Adventure. That’s definitely one of Orlando’s best deals for the holidays. 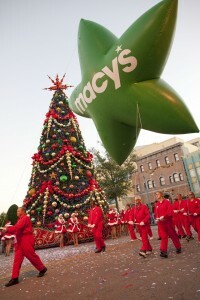 For more information on Universal Orlando’s Holidays celebration, guests can visit www.UniversalOrlando.com/holidays.